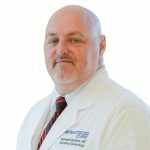 Michael C. Ketcham, DO, attended medical school at New York College of Osteopathic Medicine in West Islip, NY, where he later served as a clinical instructor. Dr. Ketcham is board certified in obstetrics and gynecology and has provided care for patients in New York and Virginia since 2002. He has also conducted research on the effects of glucose on pregnancy and is a member of the American Osteopathic Association. 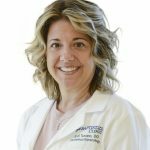 Jodi Turano, DO, grew up in Northport, NY and attended medical school at New York College of Osteopathic Medicine, where she also completed her residency. She also completed a one month intensive fellowship in Gynecologic Oncology at Memorial Sloan Kettering Cancer Center in New York, NY in 2006. Dr. Turano is board certified in obstetrics and gynecology and has served as an OB/GYN physician since 2008. She has also been published in the Journal of American Medical Association. Most recently, Dr. Turano and her husband, Dr. Michael Ketcham, OBGYN, have been practicing at a clinic/hospital in Virginia. As OBGYN’s, Dr. Ketcham and Dr. Turano provide a variety of women’s related services, seeing patients from adolescence all the way through menopause. These services include wellness check-ups, prenatal care and delivery at NEA Baptist Memorial Hospital, and a spectrum of gynecological related procedures.